Since our shuttle vehicle was not expected at Botijlaca until about 9:30, there was little reason to be getting up at the usual 6:20 a.m. We would get an extra hour to luxuriate in the warmth of our bags! Had it been a sunny morning it would also have been the first time the sun would have been up and visible as we crawled out of our tents. 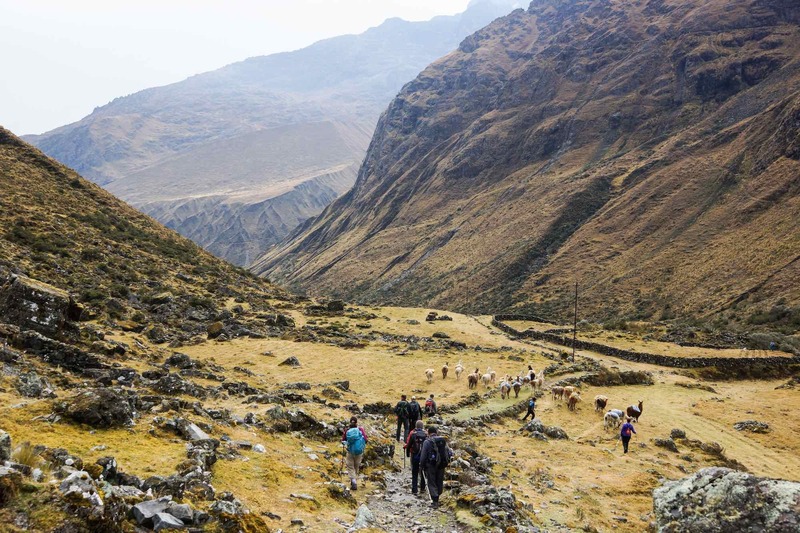 Some trek itineraries use the name Chakapampa to indicate the end point; others use the name Botijlaca. Both are correct. 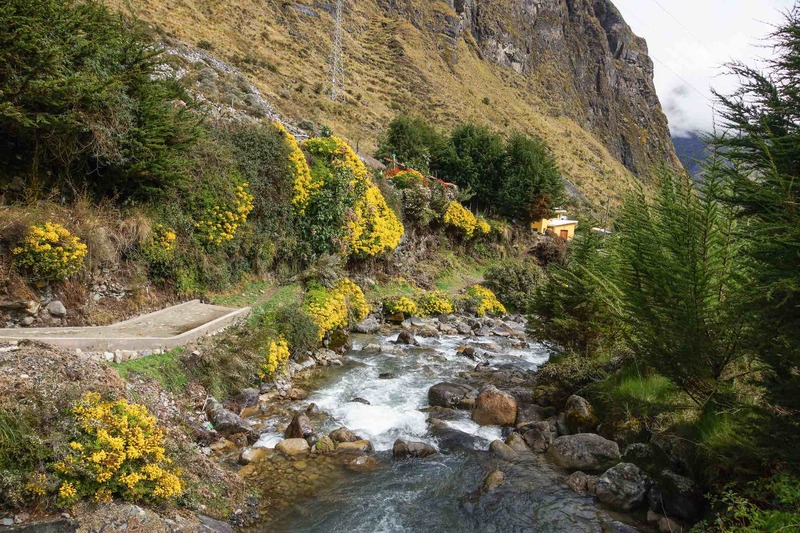 The place we ended the trek is called Chaka Pampa (literally “the flat place with a bridge”). 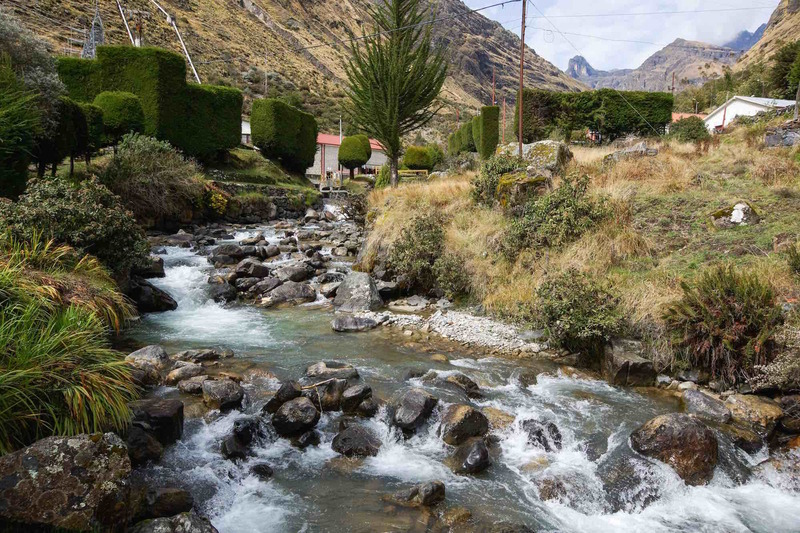 It was there that the electric company built the hydroelectric plant called “Botijlaca”. 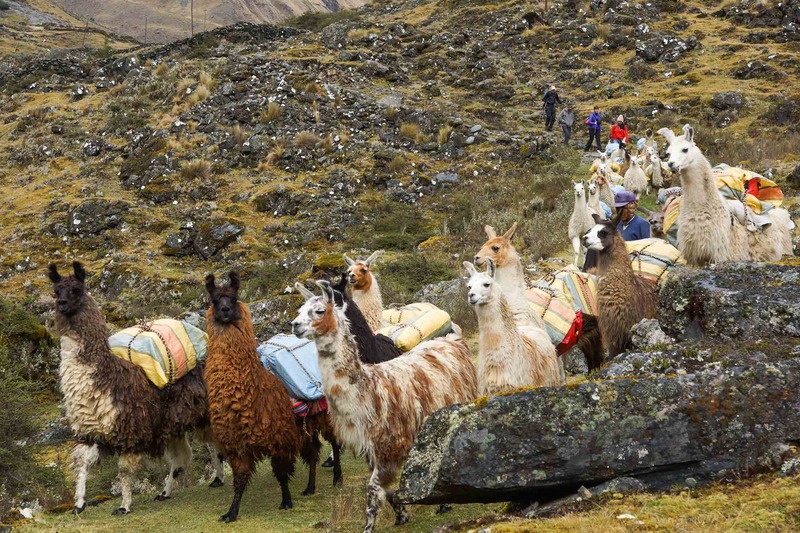 Andean Summits is one of the agencies that uses the name Botijlaca in its itineraries. By 8:45 our duffels were packed and breakfast done and the tents were coming down for one last time. We stood around as the duffels were put into their protective bags. 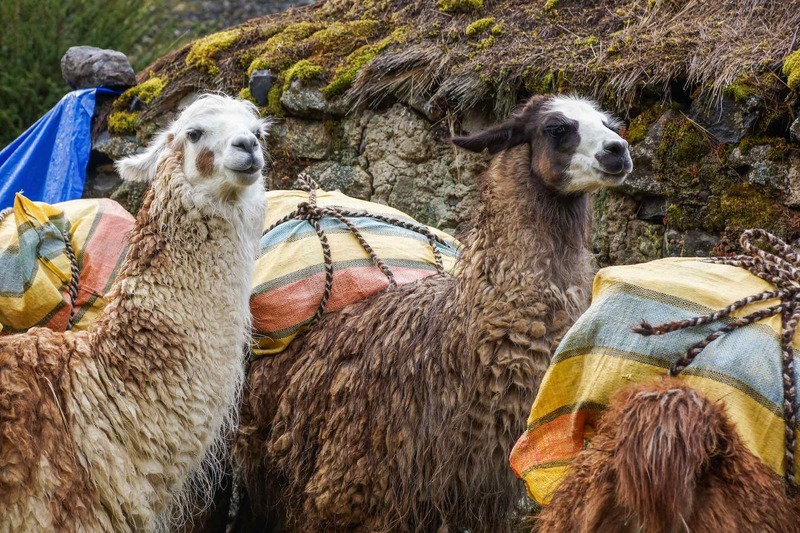 It was entertaining to see the llamas loaded yet again. 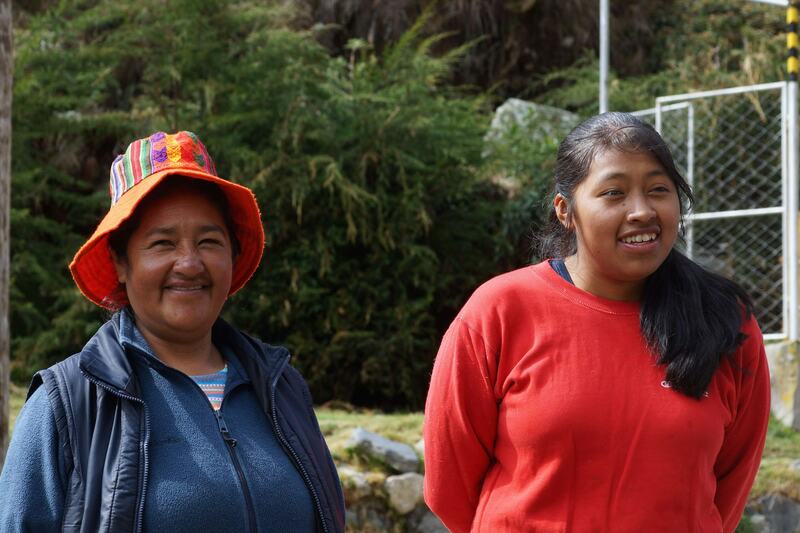 And then it was an easy stroll down the valley to the hydro facilities and workers’ houses at Botijlaca. 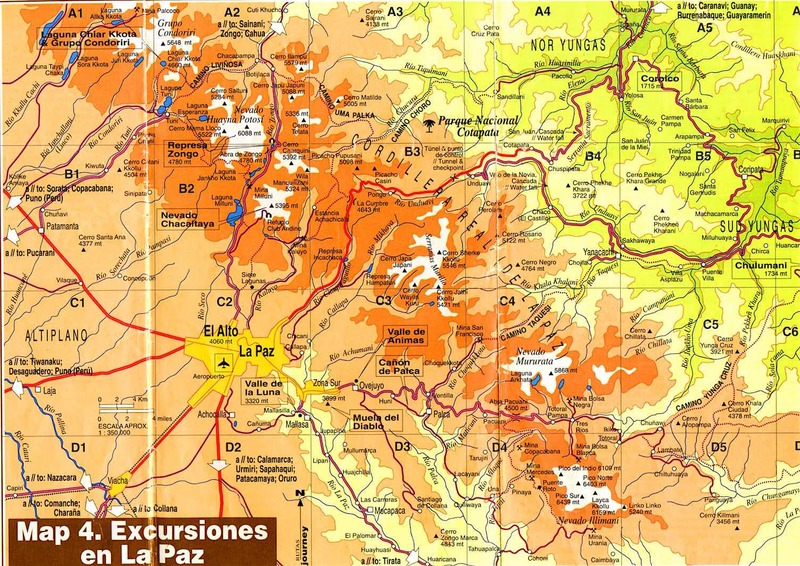 It is just off the road which would take us up the Zongo Valley and back across the Altiplano to El Alto and La Paz. 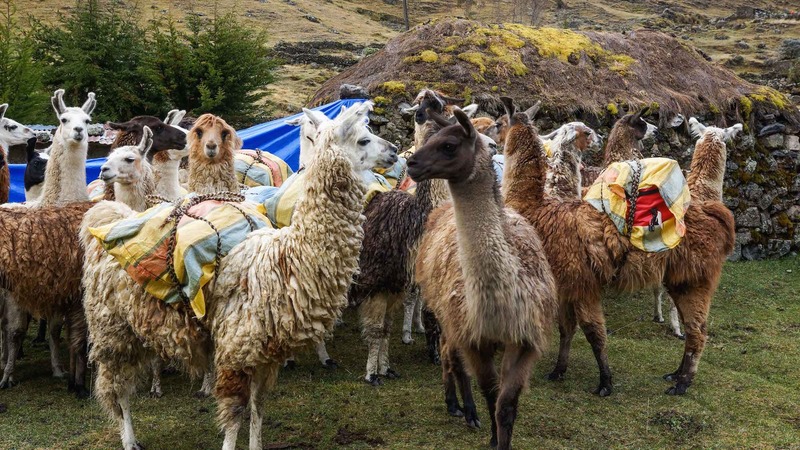 the llama version of single file! 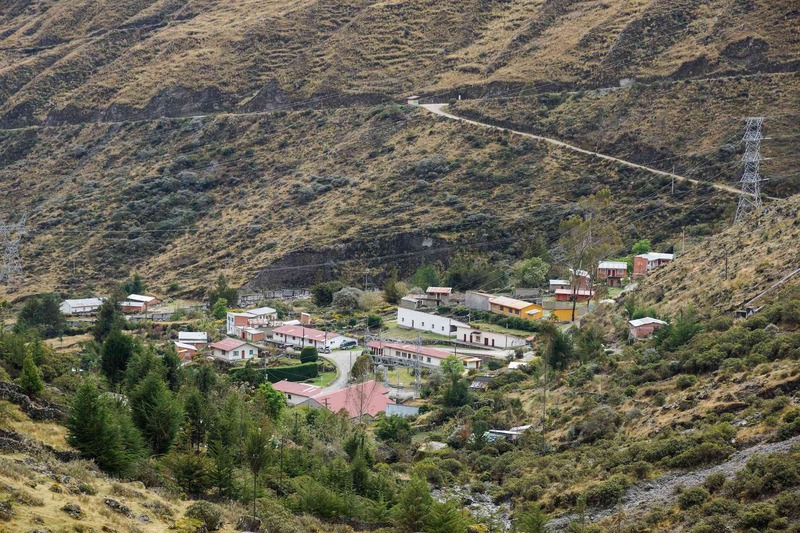 Botijlaca is a “company town” that was built to serve the workers at the hydro station. We saw few “locals” after we arrived; I saw a couple of blue-collar workers at a warehouse and two well-dressed guys with shiny new hard hats and clip boards who looked to be engineers. Do not expect to stock up on food or other supplies at Botijlaca; there are no stores! Ray delivered a gracious thank-you speech to Lucretia and Patricia, the cook team. They had walked the entire distance with us as well as taking care of all the food. From 4:30 a.m. to 10 at night, they were hard at work in their cook tent. The two propane stoves were all they had to make it all happen. Also acknowledged were the arrieros and llameros; they had taken over from another crew at Juri Khota. Now they had to get the animals back to their village. El Largo and his helper took all the animals – the donkeys and the llamas – and headed back up the valley we had just come down. They would retrace their steps all the way back to the starting point. 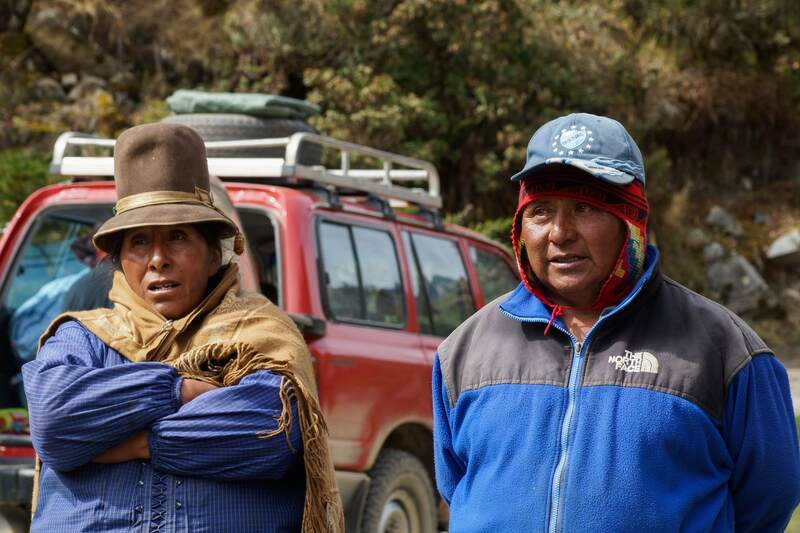 Meanwhile, the two arrieros pictured above would catch a ride with us to El Alto. Closer examination of the above photo revealed some details I did not notice at first! 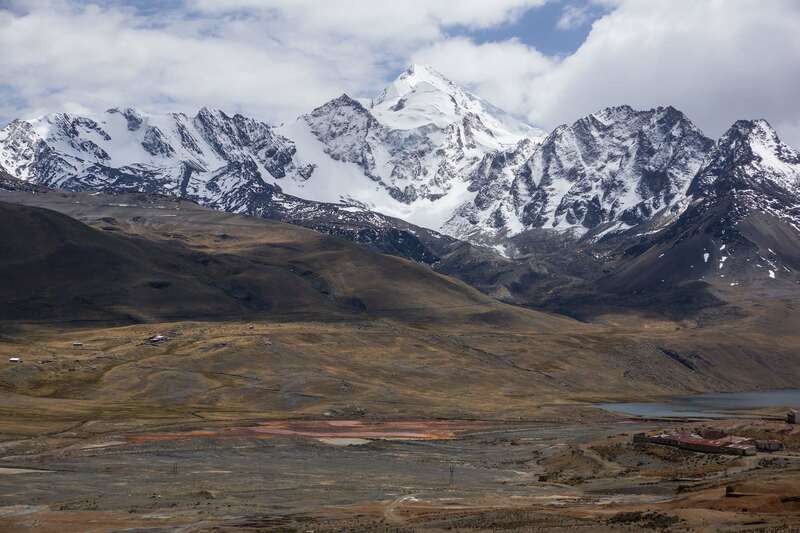 Visible on the original 6 mb file are three high camps above the Refugio Huayna Potosi pictured above on the edge of the dam. 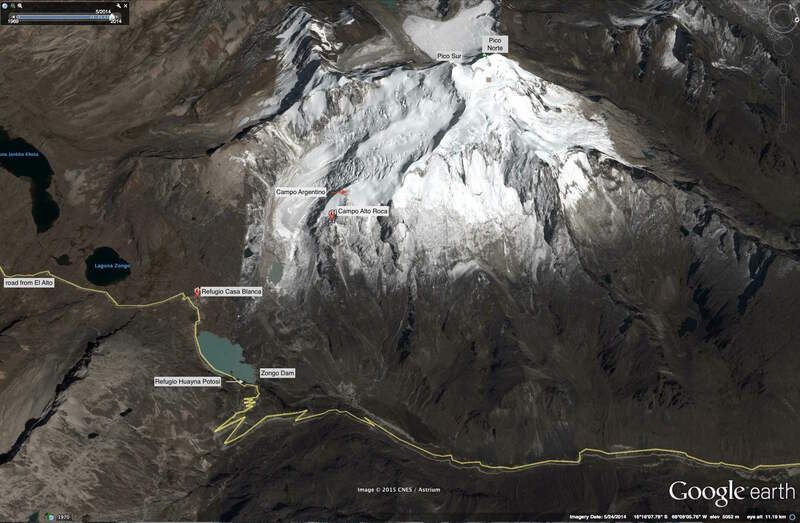 There is a small high camp belonging to the agency which owns the Refugio; there is the Campo Alto Rocas (5130); finally, there is the Campo Argentino (5430). Before 2006 it was just a tent site but in that year a building was put up. 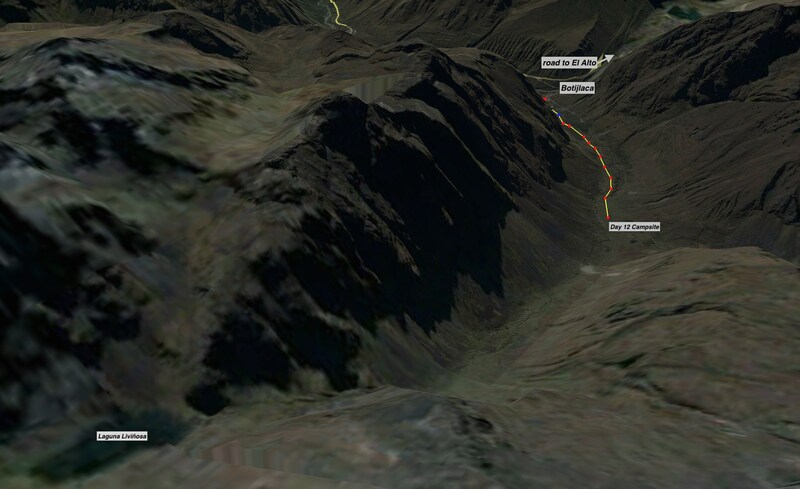 There is also at least one other high camp on the other side of the mountain. See below for a satellite shot taken of the area in May 2014 with an additional refugio – Casa Blanca – indicated. Of those who try, some 1000 people summit the mountain each year. It is considered the easiest of Bolivia’s 6000 meter plus peaks to do; it is not as easy as some make it out to be. An additional statistic – the success rate – would probably make that clear. Is it 30%? 40%? 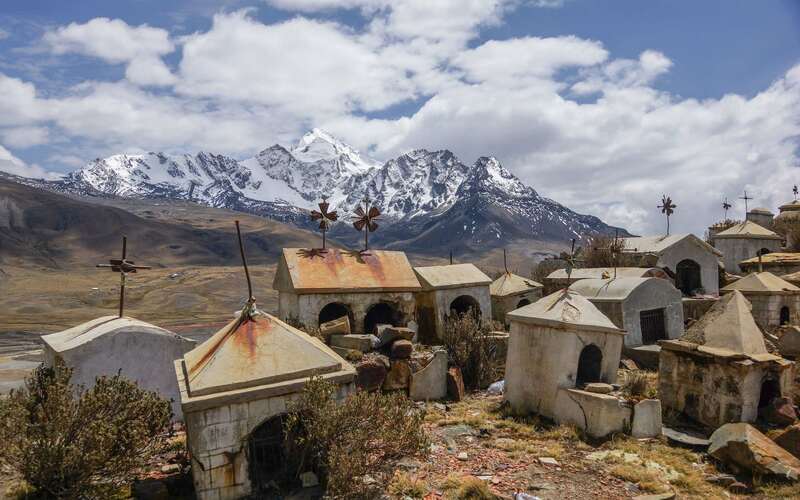 It certainly is a popular trip for the La Paz agencies to sell – and to misrepresent! 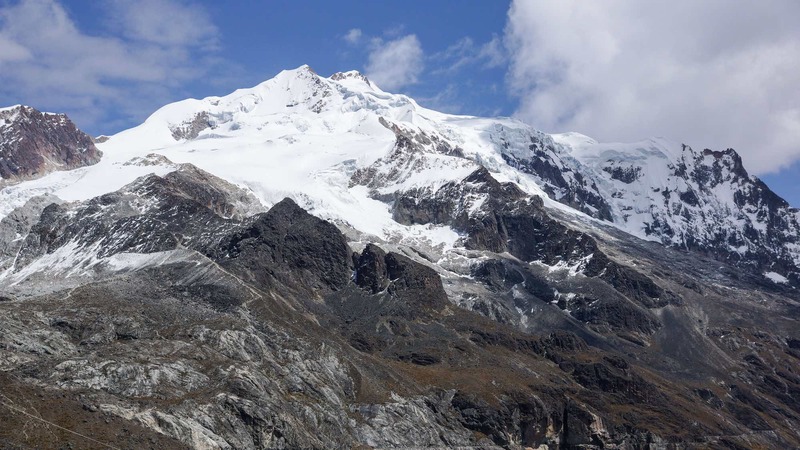 See this tripadvisor thread (“Climbing Huayna Potosi”) for the views of some who bought the trip. 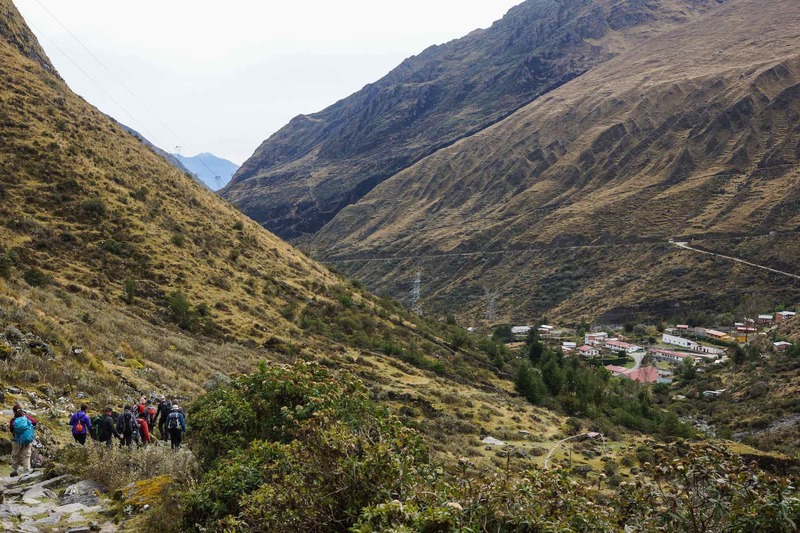 At least a week to ten days in La Paz and maybe in the Condoriri area doing 5000 meter climbs would make it much more likely that you would be one of those who makes it to the top of Huayna Potosi – and feels great doing while doing it! Leaving the Huayna Potosi massif behind us, we kept on the road towards El Alto. On the side of the road we passed by the following miners’ gravesite near Milluni. 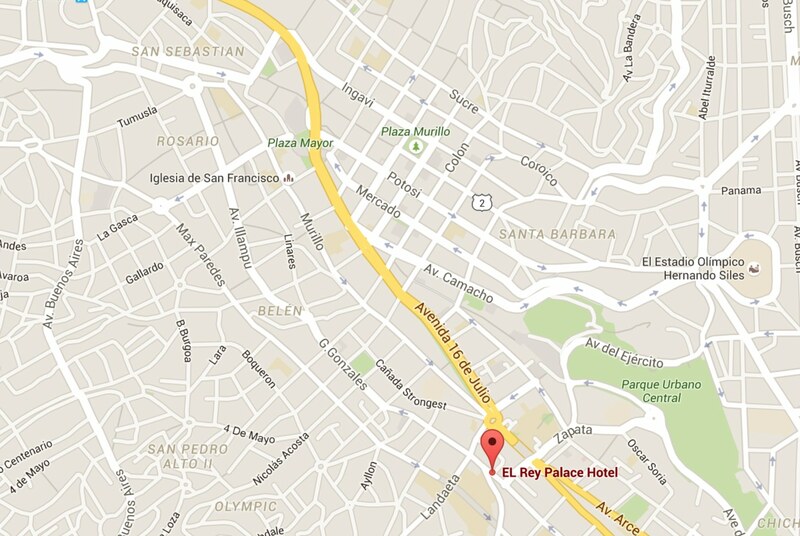 Three hours after leaving Botijlaca, we were approaching our hotel- the El Rey Palace – in downtown La Paz. Most of the UK trekkers were heading back the very next day so they were keen to get some last minute shopping done. I had booked a couple of extra nights at the Hotel Rosario on Avenida Illampu in the “Gringo Ghetto” just up from the Iglesia de San Francisco. I’d head up there the next morning after saying goodbye to the Brits departing for the airport and their flights back to London. “So long, it’s been good to know you, but I’ve got to be movin’ along…” goes a Woody Guthrie song and it sums up the transitory nature of vacation friendships. From the emails I received in the days afterwards it sounds like most went back to deal with work that had piled up in their absence. Incentive, I guess, to start planning another vacation! 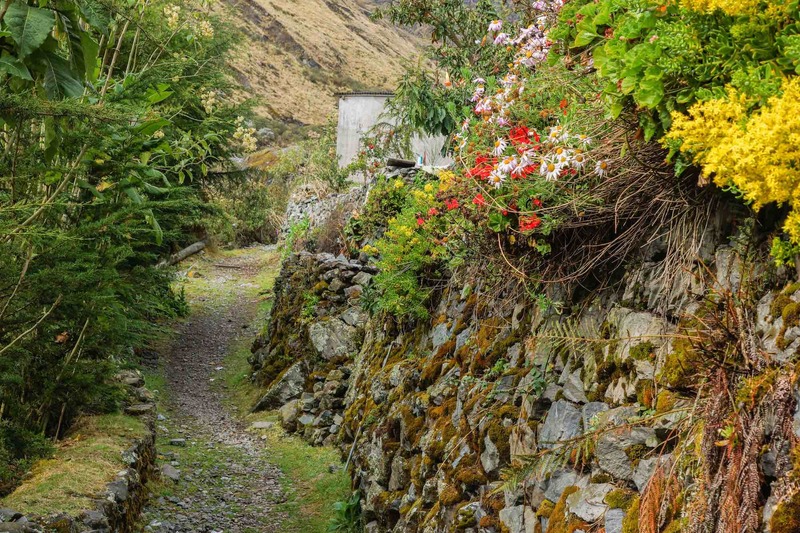 This entry was posted in hiking/trekking. Bookmark the permalink.